Vanessa K. De Luca is the former editor-in-chief of Essence magazine. Prior to Essence, she served in a variety of editorial roles for publications such as Life and Glamour; she's also the co-author of the bestselling book, Tyra's Beauty Inside and Out. "I think in today's world of information overload, we take it for granted that images are everywhere, so their presence can seem less impactful. This is far from the truth. Even in the 21st century, there is a need to tell our truths through images that connect us to our own humanity. As someone who once worked at Life magazine as a staff writer, I know the importance of photos to storytelling--they add a richness and a resonance that words alone cannot duplicate." "Morgan and Marvin Smith have produced some of the most iconic black and white images of Harlem life during a particular moment in time that was magical. They captured everyday lives of everyday people such as pullman porters, subway conductors and telegram messengers, and well as the iconic figures of the day—Maya Angelou, Duke Ellington, Ella Fitzgerald and more—whose creativity and talents had worldwide influence. But it is their photos of Harlem's children caught in moments of unfettered joy, that are my favorite images in the book." 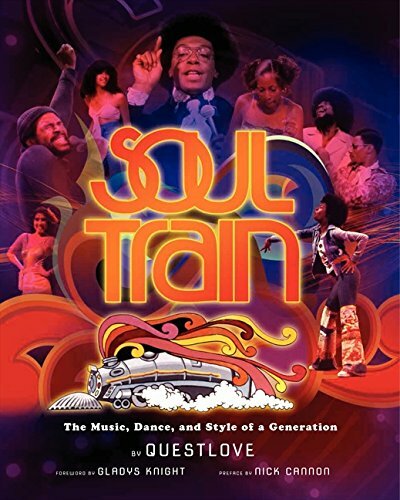 "I grew up watching Soul Train; every Saturday we had a standing appointment—it was the original must-see TV. Besides the brilliant musical performances, we all took copious style notes from the dancers in the audience—what they were wearing was as important to us viewers as the individuality of their dance moves. This book captures the energy of this moment in time, but also confirms the show's indelible imprint on our culture." "This book started out as a one-mom campaign/passion project to help build the self-esteem of our children by teaching them about the Black achievers who came before us. Each image showcases a young person portraying a notable figure, from Bessie Coleman to Jean-Michel Basquiat to Melissa Harris Perry and more. The message of the book is simple yet profound: if you can dream it, you can do it." "This is the first photography book I ever purchased, mainly because I was drawn to the images of 75 Black women and the inspirational words that were included with each portrait. I was in my '20s and looking for confirmation that Black women did indeed have a voice and a vision that was critical to changing the world. I appreciated that so many contemporary women were included, and that a Pulitzer Prize-winning photographer felt compelled to bring it to life."